Using the customer’s own cover, we converted the book to ePub and Mobi and aggregated it to Apple and Amazon. 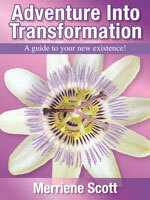 This (along with Merriene’s other two ebooks ‘Adventure into Transformation’ and ‘Ancient Memories, New Beginnings’) was a straightforward eBook conversion as there were no images, tables etc. The whole project went smoothly from start to finish. The end result was a very clean, neat layout. It was lovely to work with Merriene and we hope to again in the future. 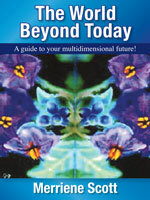 “The World Beyond Today” is the first book of a trilogy “Messages from Illanitis” and will be of help to those investigating their understanding beyond the known material world. Written ‘through’ automatic writing it is spiritually uplifting and transformational. and let go of old ways of being and doing. Some will read it as a sequel to “The World Beyond Today”; others will find it stands alone as a book of enlightenment and inspiration. 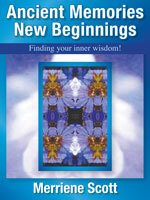 “Ancient Memories, New Beginnings” completes the teaching journals “Messages from Illanitis”. Each book stands alone, though this final one lovingly brings together the spiritual concepts presented in the first two, expanding on them and taking the reader to a higher level of understanding.